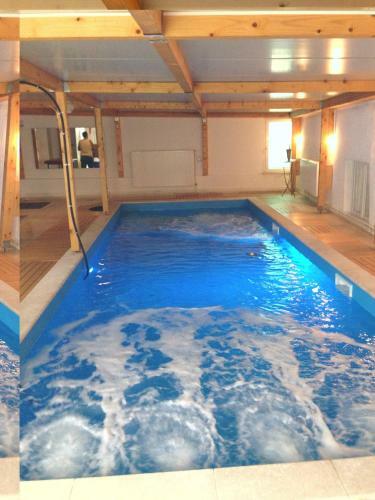 Istria-Apartments.co.uk offers you the largest list of private accommodations in Kastelir available on the internet, a rich photogallery and much more. Find apartments, villas with pool, studio-apartments, from cheap rooms to luxury apartment with no reservation cost. Check out guest reviews and ratings, and have a best vacation in Kastelir. Holiday apartment, 70 square meters town of Kastelir Apartment situated in a little village Kastelir close to Porec, Croatia. General details: air conditioner, fitness, hair dryer, garden, barbecue, parking. Entertainment and Sport: TV, Satellite television. Holiday apartment, 115 square meters, Kastelir town of Kastelir Accomodation is situated in a private house in a quiet part of Kastelir in Istria and offers you the possibility to spend memorable holiday in a relaxed environment of this coastal village. Distance to the beach: 6km. Distance to the bar: 10km. Apartments Residenz Labinci town of Kastelir price per day from € 56 Situated in Kaštelir, Apartments Residenz Labinci presents an indoor pool, a tennis court and self-catering apartments and studios with a balcony. Studios and apartments are heated and feature a fan and a shower. Some accommodation types offer a lcd tv. Visitors are able to prepare their own dishes at Apartments Residenz Labinci. Studios and apartments have a kitchenette with an electric kettle, a refrigerator and a coffee machine. Holiday apartment, 60 square meters, Kastelir, Croatia town of Kastelir Book your stay in comfortable apartment in Kastelir on the Porec Riviera in Istria. This private apartament is furnished in a modern and cozy style, allowing you to completely enjoy in your holidays in Croatia. General details: air conditioner, garden, terrace, balcony, barbecue, parking. Entertainment and Sport: TV, Satellite television. Apartments Rinaldis town of Kastelir price per day from € 58 Apartments Rinaldis presents pet-friendly accommodation in Kaštelir. There is also a kitchen, equipped with a microwave, toaster and fridge. A stovetop is also available, as well as a coffee machine and a kettle. Free car parking is also available at this apartment. Portorož is 25 km from Apartments Rinaldis, while Opatija is 49 kilometers away. Peaceful accommodation, close to the beach, Kastelir town of Kastelir Nicely decorated, comfy and fully equipped villa is situated in Kastelir. Enjoy a stroll around the city whose attractions will delight you. General details: air conditioner, fitness, garden, barbecue, parking. Entertainment and Sport: TV, Satellite television. Accommodation, 223 square meters town of Kastelir Beautifully decorated, comfortable and fully equipped villa is situated in Kastelir. Enjoy a stroll around the city whose attractions will delight you. Entertainment and Outdoor activities: TV, Satellite television. Distance to the restaurant: 2600m. Cheap accommodation, 300 square meters, with pool town of Kastelir Rent this inexpensive family villa positioned in a popular tourist destination of Kastelir that welcomes you with long pebble and sandy beaches, good gastronomic offer and long promenade that stretches all over to neighboring villages. Entertainment and Outdoor activities: TV, Satellite television. Distance to the restaurant: 200m. Distance to the beach: 10km. Distance to the bar: 200m. Distance to the ferryboat: 10km. 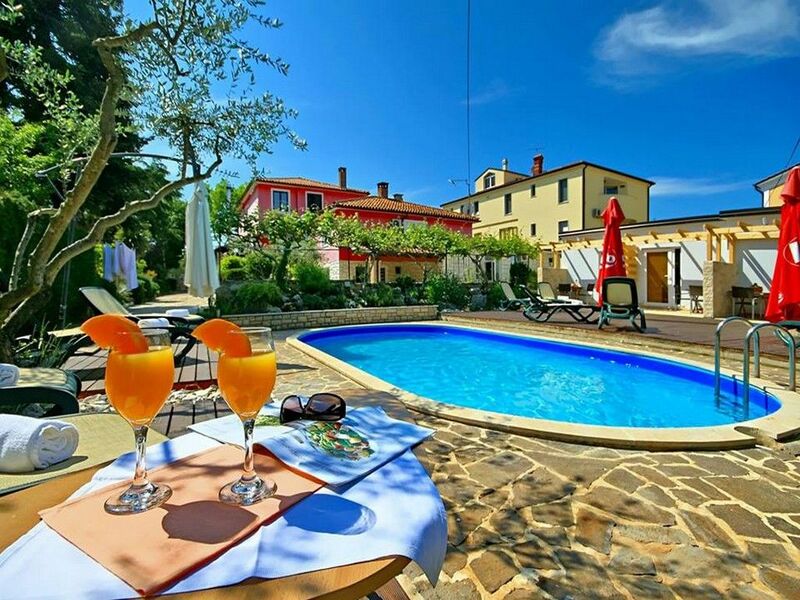 Peaceful accommodation, max 7 persons town of Kastelir Book this comfy and completely equipped summer accommodation positioned in a tranquil and silent part of a tiny coastal village of Kastelir close to Porec for an unwinded family vacations in splendid natural surroundings. Entertainment and Sport: TV, Satellite television. General details: air conditioner, barbecue, parking. Quiet air-conditioned accommodation, 120 square meters, with garden town of Kastelir Pleasant villa in a little, well-liked tourist place Kastelir near Porec. This private accommodation is ideal for whole families, definitely pleasant, equipped in a vintage style and equipped with all the things you require for a pleasant stay in Kastelir, Croatia. Entertainment and Sport: TV, Satellite television. General details: air conditioner, fitness, garden, barbecue, parking. 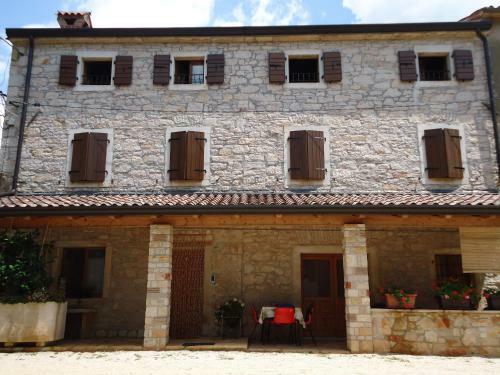 Family Farm Cerjani town of Kastelir price per day from € 120 Providing a grill, children's playground and outdoors terrace, Family Farm Cerjani is positioned in Kaštelir in the Istria Region. All rooms include a lcd tv with satellite channels and DVD player. Certain rooms include a seating area to sit back in after a busy day. All rooms are fitted with a private toilet equipped with a bath or shower and shower. For your comfort, you will find free toiletries and a hair dryer. Kastelir is a village positioned on the west coastline of Istria, 8000 meters from the beach resort of Porec. The cape on which the Porec's rich old town established and was preserved has been populated for hundreds of years and is these days typically called a cultural landmark. The historic center, once surrounded by walls and fortifications is nowadays preserved in precious remains. Kastelir is surrounded with woodlands, olive trees, and vineyards. Kastelir is placed on the west side of the peninsula, on 220 m of altitude. Kastelir and Labinci used to be two villages but today they are one settlement. This area of Istria is well-known for the manufacturing of wine, spuds, olive oil, and honey, as well as forests full of asparagus and wild mushrooms, all of which you can taste in many restaurants and taverns. The walks through the forests, the vintage of the vineyards, the degustation of wine and typical Istrian specialties, visiting middle ages towns in the inside of Istria, are just some of the adventure that you can take pleasure in. Winters are really moderate and suitable for trips and recreation. Visiting the coastline in winter is healthful and enjoyable. In spring the whole region blooms and that makes the strolls and bicycle tours really unique. The settlement is in the relative vicinity of Porec, a town well-known since the times of the Roman Empire. Bordered by wineries and olive groves and facing the Mediterranean Sea, Kastelir presents magnificent views. Kastelir has around 280 citizens. You can take a swim in the crystal clear sea on some gorgeous beach before the summer and just before the beaches get too crowded. Taking pleasure in the fragrance of nature, the clean air and the friendliness you will encounter a quieter environment from a modern-day way of life. The national observatory was built at Visnjan, a small town close by, due to the fact that the air here is so clean. Monastery of St. Mihovil under ground from 9th century. Church of St. Valutin, Kuzma and Damjan. Church of St. Trinity from 13th century in Labinci. High-end villas in Kastelir offer pretty much all the modern facilities and amenities. They also include amenities such as swimming pool and maid-servant and are considered ideal for happenings like wedding receptions, Christmas parties and wedding anniversary parties. Some exceptional facilities which are usually offered in high-class vacation homes in Kastelir include service of a private gourmet, car with a driver, live movie theater, and sightseeing.